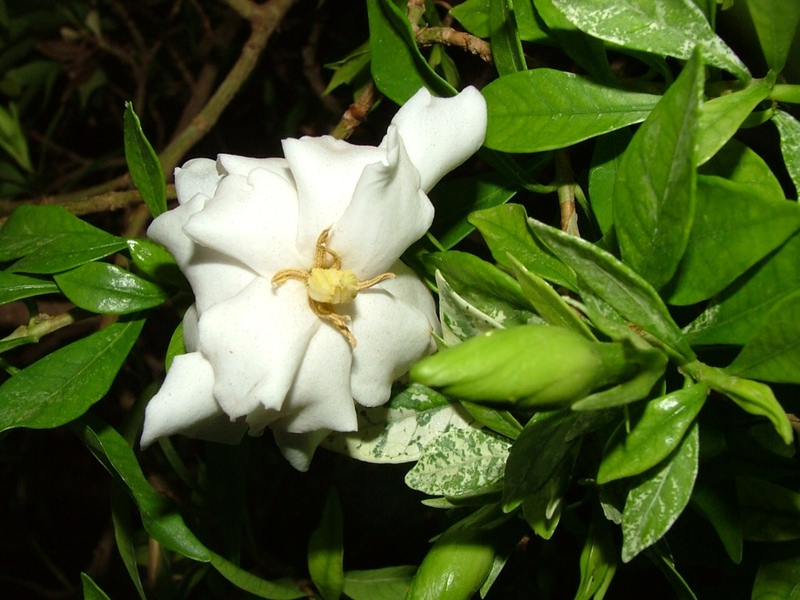 Fragrant Veitchii Gardenia blossom and bud . 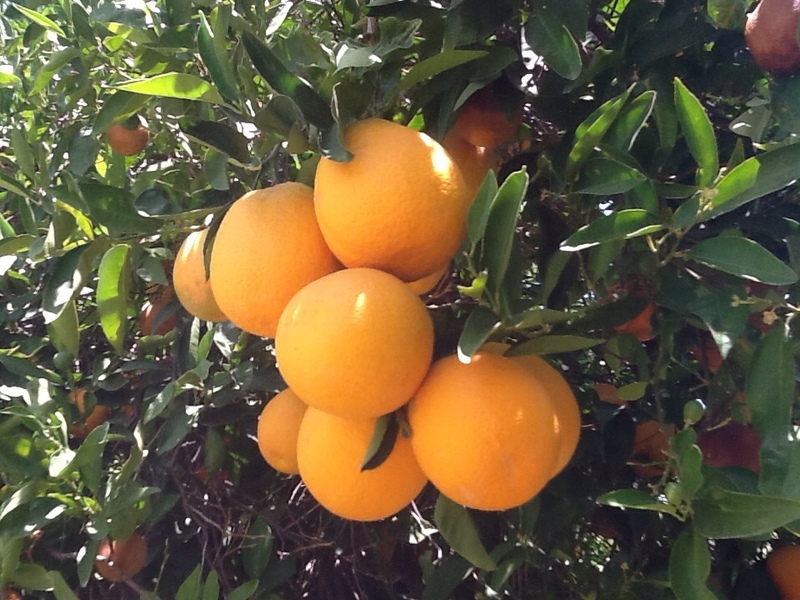 . . first of the season. 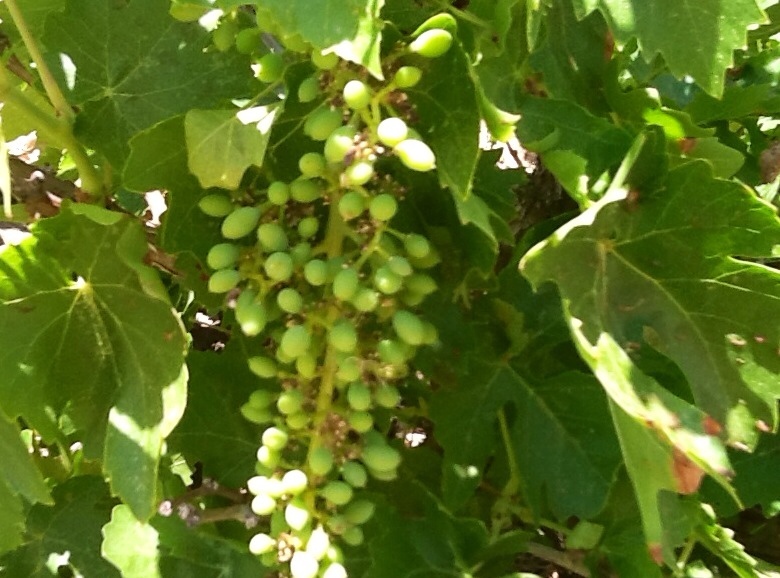 This plant will soon be covered hundreds of blossoms! 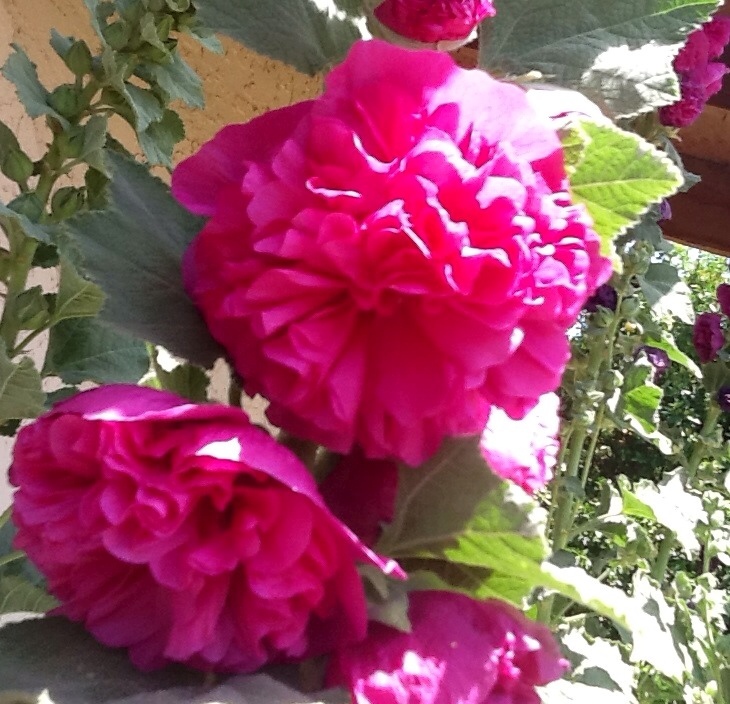 I love to pick little bouquets to keep by our bed, in the kitchen, and living room so we can enjoy their heavenly smell! 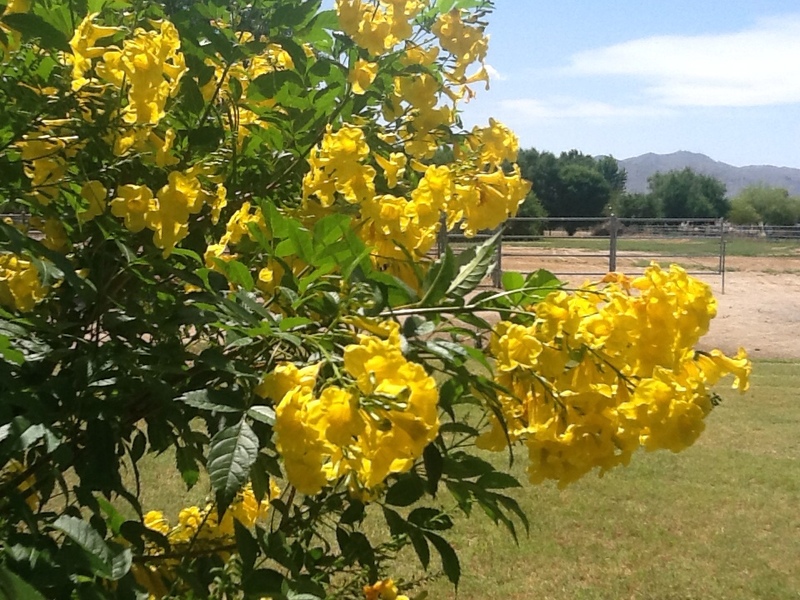 Beautiful Yellow Bells love hot weather! 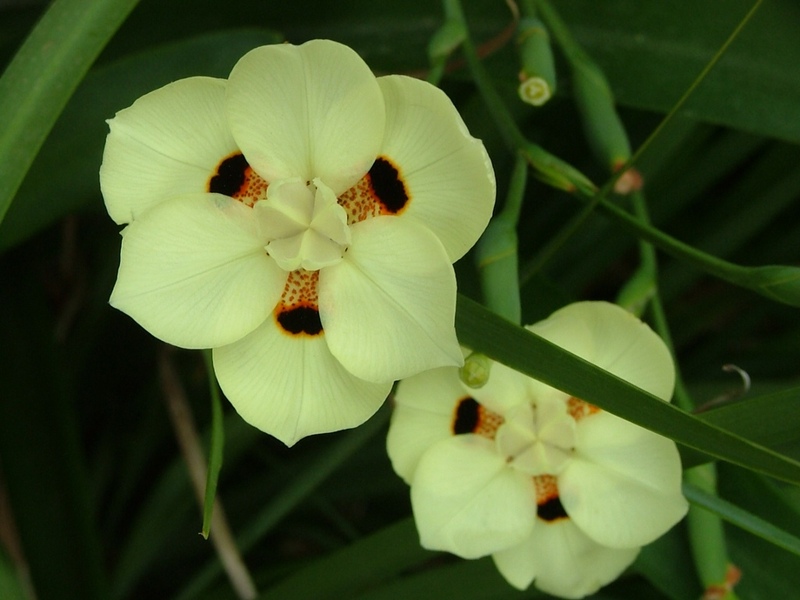 Maid of Orleans Jasmine, a shade lover, offers intoxicating perfume throughout the hot desert summer. 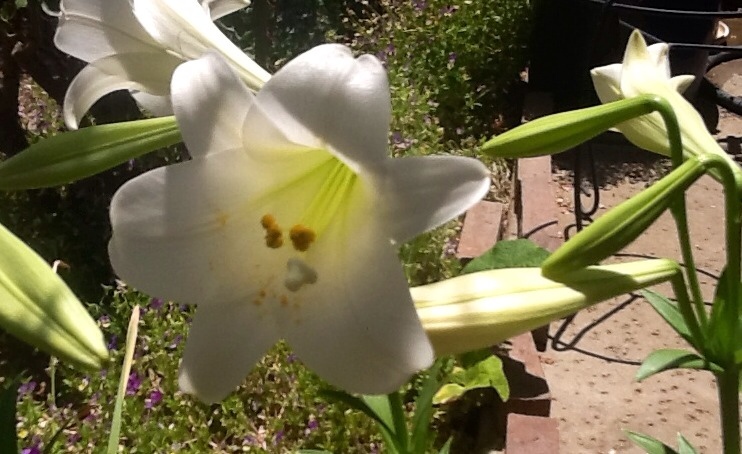 I planted my jasmine vine and gardenia near the front door so guests and family can enjoy their beauty and fragrance. 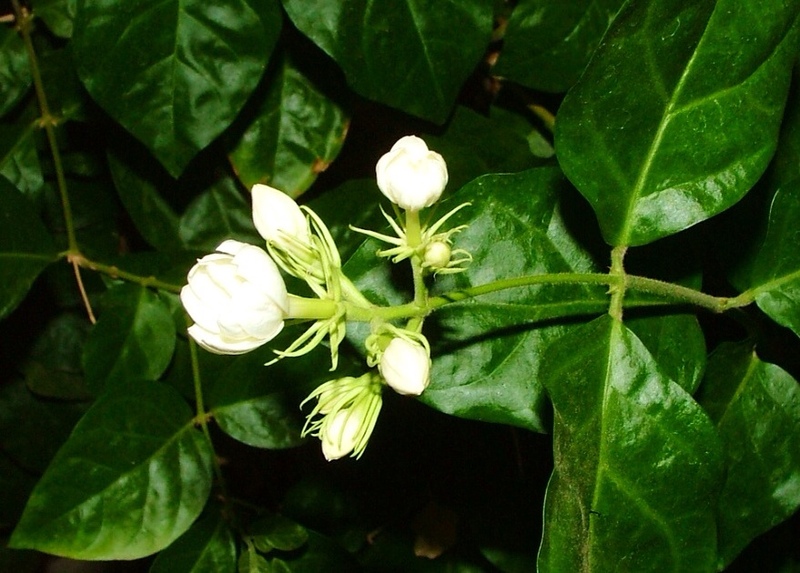 Oh, I just found out via the internet, you can pick jasmine blossoms in the morning and brew jasmine tea with them! How cool is that?! 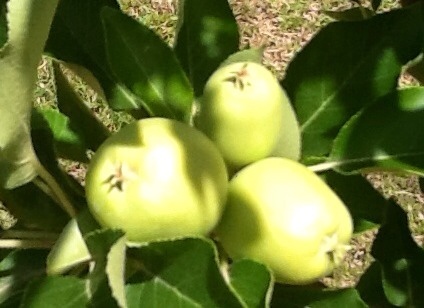 Baby Ein Shemer Apples, native to Isreal. 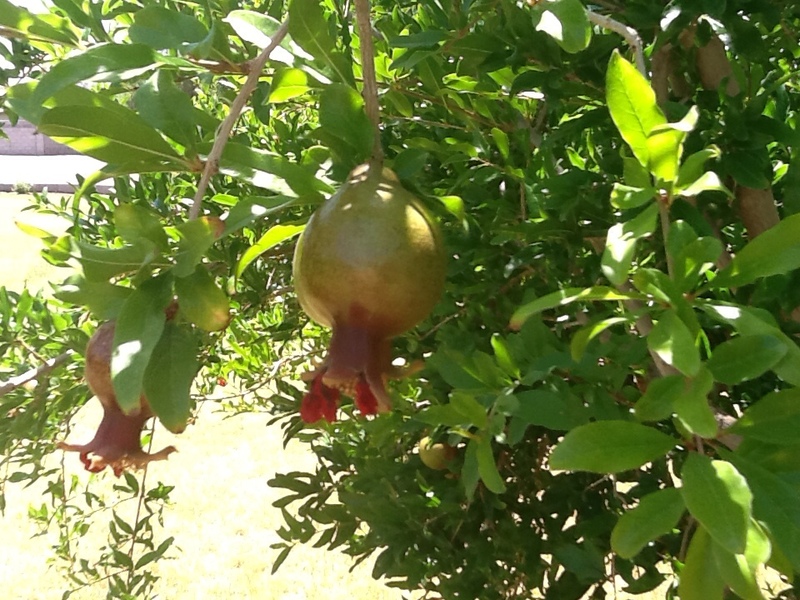 Wonderful Pomegranate harvested the end of November for jelly and pancake syrup! 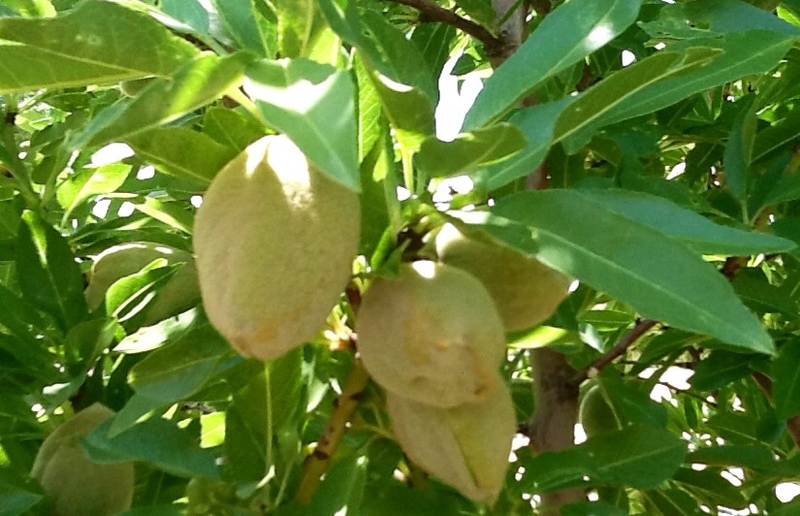 All In One Almond is a self-pollinator and ripens in August. Eva's Pride Peaches. 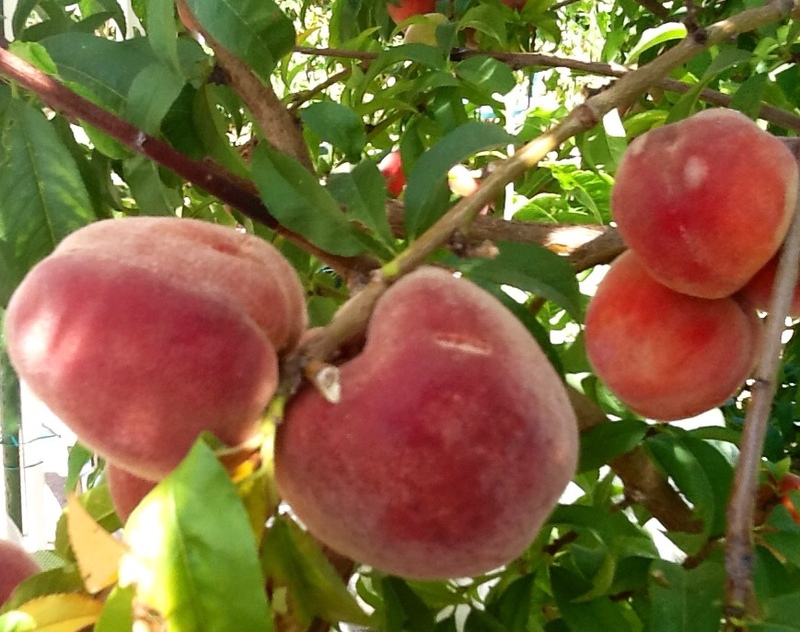 Time to make Zesty Peach BBQ Sauce, peach pies and jams! 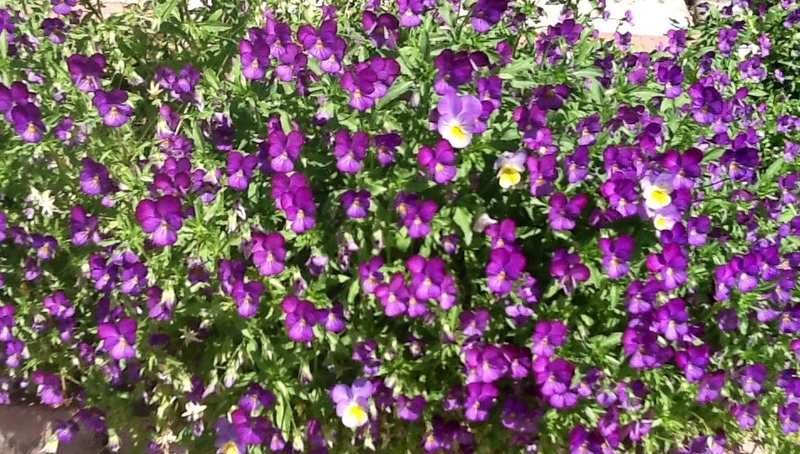 Pretty Little Violas . . . Volunteers appear every Spring but, disappear when it gets too hot! 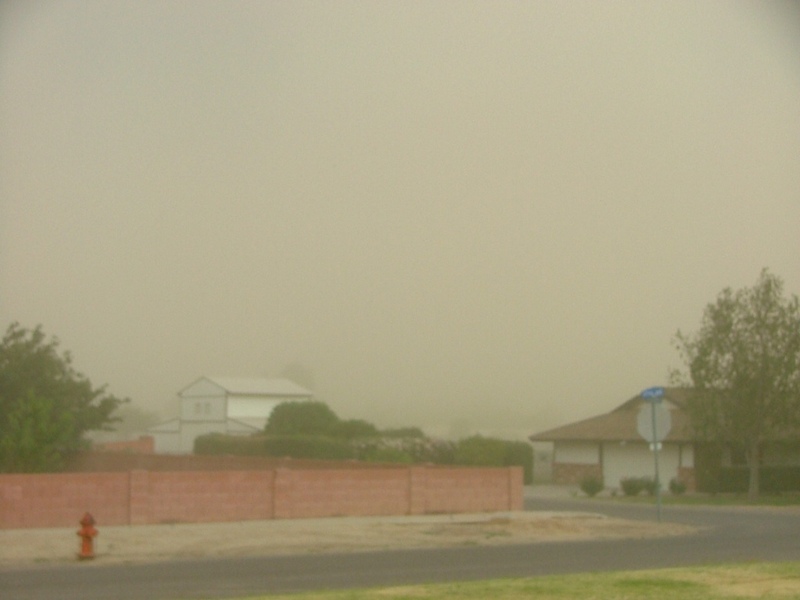 Late afternoon dust storm approaching from the east, causing less than 1/4 mile visibility. 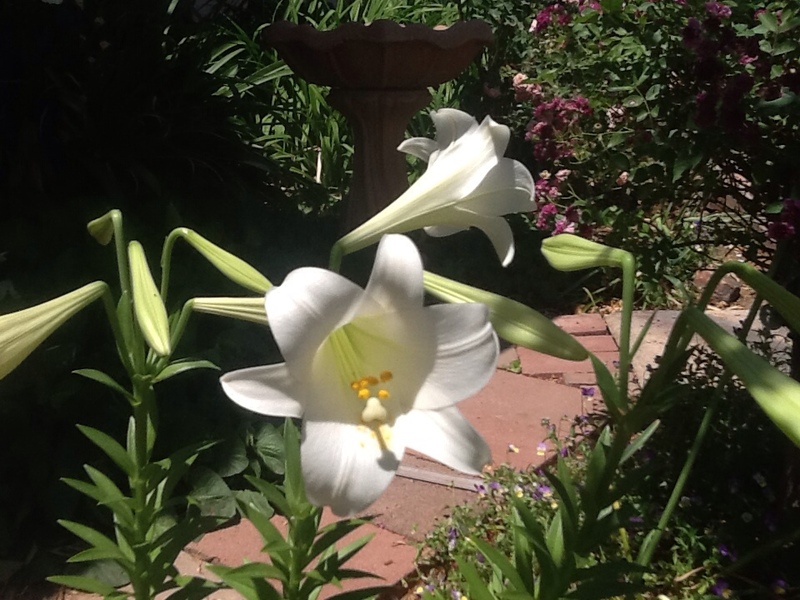 33 mile per hour winds with gusts to 45 mph blew down all my beautiful hollyhocks, quite a few of my peaches and beat up my delicate Easter lilies this evening. Tomorrow will be clean-up time . . . Over at Julie's. Love the photos. Good job! Thanks, I was chasing a baby praying mantis around all day trying to get a good photo but it was camera shy!